Indian weddings may be ridiculed for being excessively big and fat but, the entertainment factor associated is incomparable. There are certain rituals which will pull out all the artistic qualities in you and make you forget all your stress. Indian marriages are more about bonding between all the members of two families instead of just tying the knot between the couples. 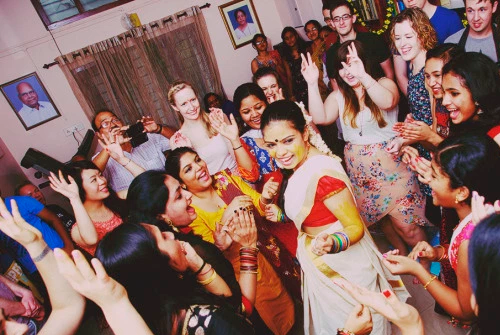 The most important ritual responsible for the outburst of emotions is Sangeet. Even if it seems like just a fun-filled ceremony, the reality is far deeper. Check out what all Sangeet brings along with it for us! 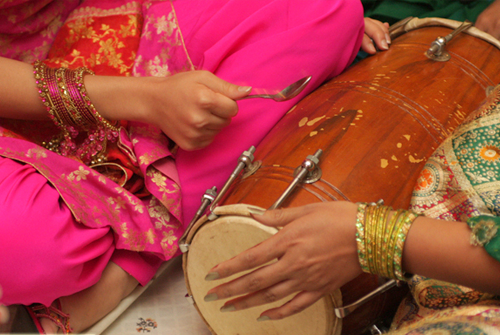 Sangeet was initially started to unwind from the stress of marriage preparations. Traditionally arranged for the bride by her family, who invite a number of female guests, the “sangeet” is celebrated in the spirit of light-heartedness, replete with sweet foods, the telling of jokes and the relating of fond memories pertaining to the bride. Sangeet is one such most looked forward to the celebration. In some places, it is also known as Guan. It is believed to heighten the excitement of wedding festivities. This is celebrated both in the Bride and the Groom’s place individually. Their own family members sing songs, dance to the beats and crack jokes. Initially, folk songs and ritualistic music were played which is now replaced mainly with Bollywood music and has been evolved in a more modern way. 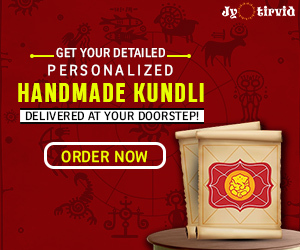 In the earlier days the custom of Gaun used to last for ten days but with the passage of time, as people didn’t have more time to spend due to demanding work schedules, the custom has usually reduced to a one night function. Traditionally only the women celebrated this ceremony but nowadays the concept has changed as both men and women participate in celebrating this occasion. Most of the families now days combine Mehendi along with the Sangeet function. Though sangeet function is an important pre-wedding function of all north Indian weddings, it is the most popular trend among Gujaratis and Punjabis. Sangeet originally comes down from the Punjabi culture. Later, people from other regions of India also started adopting this fun filled ritual. 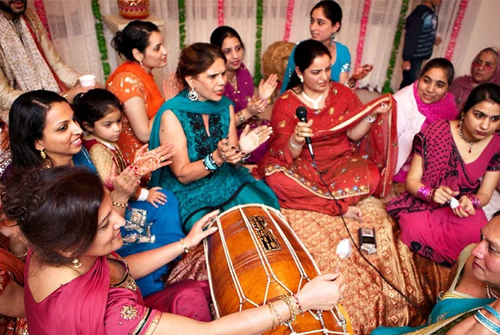 Sangeet initially was full of traditional songs sung by a group of women, instruments like the dholak, flute and others were used, girls used to mimic and tease the bride about her marriage. Nowadays the same things happen but with a twist. Instead of a group of singing women and musical instruments, people put huge speakers and make arrangement for all kinds of Bollywood songs to be played. Some of the major folk songs which were sung earlier are. KNOW What Lord Krishna Has To Say About Inter-Caste Marriages? Ceremonies like this prove how much of a social importance and event like wedding holds in the lives of Indians. 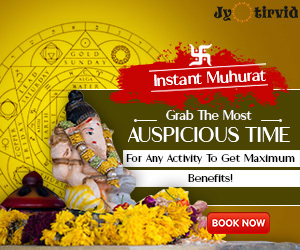 Previous articleSita Navami – Get The Blessings To Be An Ideal Wife!